Your success matters. Our stellar case management system will help. We want to help you improve your efficiency, polish your professional image, manage more cases, and increase your bottom line. The Attorney Case File is a three-component case management system that can help you do all that and more. The Attorney Case File offers full flexibility and incredible detail for handling most any type case your office handles. It provides equal depth, detail, and focus to civil or criminal, family or corporate, tax or tort, plaintiff or defendant, court or office, and is indispensable for case management at any level of expertise, and in any size office. Regardless of your area of practice, this is one tool you can't afford to be without. This three-component forms-based package covers everything you need from new client intake, billable hours, legal research, a detailed investigation, through creating a comprehensive trial notebook if your case involves court. For more on how this system can help you scroll down to look at the three integral components; the Investigation Workbook, the Case / Client Workbook, and the Trial Notebook. Then, take a look at the FAQ and Ebooks and Samples pages. In court, good attorneys will never ask a question to which they do not already know the answer. The Investigation Workbook has been used as a stand-alone tool by Private Investigators and Police Officers across the country. 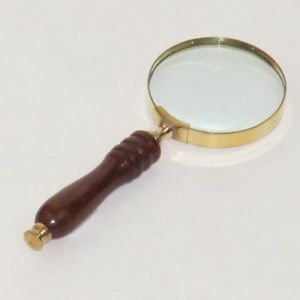 It provides a complete "investigation in a box" to either assist your in-house staff with the complex details of a thorough investigation or to help you set specific parameters for any outside vendor. The Case / Client Workbook is the central data coordinator related to the case and client. Track all client background information and documentation; calendaring; opposing client & counsel; background & discovery; witnesses, interrogatories, and depositions; case law & statutory law research; time & expense billing; communications & correspondence; filings, motions, and pleadings; clerical activity; and more. The Trial Notebook readies both you and your case materials for your day in court. The Trial Notebook can be used as a stand-alone trial notebook or it provides you a template to organize the materials gathered while using the Case / Client Workbook and the Investigation Workbook. Whether your court appearance is a simple hearing or a full jury trial, this notebook alone is worth the price of the entire package.